All small businesses should have some sort of social media presence. The key is deciding what social media platforms are right for your business, and how to use the platforms to best market your products and services. While Twitter isn’t the best social media platform for all businesses, for those that use it, it can be a powerful marketing and customer service tool. Business News Daily talked to small business owners and social media experts about how small businesses can market their brands on Twitter. Here are four tips. Twitter moves fast, and it’s easy to get lost in a sea of tweets. Twitter lists can help you cut through the chatter and ensure you see the tweets from people you want. You can create lists and isolate groups of people based on things such as industry or relationship. The key to a successful Twitter strategy is engagement and quick conversations. You can’t engage with users if you don’t see their content. Twitter lists make it easier to see the content you want to interact with. 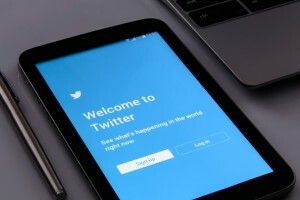 Jason Myers, senior account executive at The Content Factory, recommends using Twitter lists to engage and build relationships with journalists. The most successful tweets are creative and conversational. If you are just promotional or salesy on social media, users will ignore your content. The best way to be seen on this platform is engaging in conversations and commenting on trending topics. Host or participate in Twitter chats. Twitter is a great place to build a community around your business or brand, said Katie Campbell, social media expert at Fundera. A fun and easy way to build a community is through Twitter chats. Twitter chats are live events focused around a certain topic of discussion. There is typically a specific hashtag and time limit for the event so that you can easily find and manage the chat. One of the best way’s businesses can use Twitter is to monitor conversations, identify sentiment and provide customer service. Twitter users often take to the platform to air complaints about a company or product. Meet customers where they are and respond to their feedback. Rachel Landen, director of digital content and strategy at LooseGrip, recommends monitoring conversations and trends to pinpoint what content to share and to join conversations. “While Twitter can be for sharing your thoughts and your products or services, it’s also a great listening tool to discover what’s trending, what people are discussing, and how they feel about certain topics or issues,” said Landen.